Inspirational journalist, author, broadcaster and thought leader, Matthew Syed, to present his acclaimed self-help talk on Wednesday 22 May 2019 at St George’s Hall, Liverpool. You may know him as a Commonwealth Games Gold medallist. Perhaps you know him from the popular BBC Radio 5 live topical sports podcast, Flintoff, Savage and The Ping Pong Guy. Or as a sports columnist for The Times. But did you know? 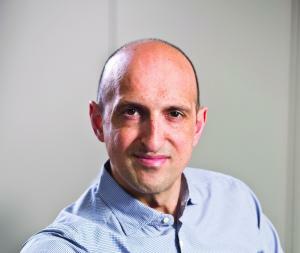 Matthew Syed is also a critically-acclaimed author, celebrated for his thought leadership and self-help books, which are designed to help all generations. The reception for VIP ticket holders will take place in the Concert Room from 5.30pm. A Cash Bar will be open at the North Entrance from 5.30pm for all ticket holders. Talk starts in the Great Hall at 6.30pm. 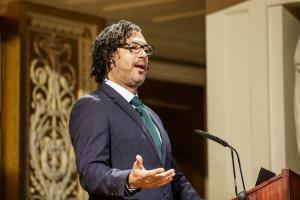 Matthew Syed’s self-help and motivation talk follows the sell-out success of St George’s Hall: A History in Time, which was presented by University of Liverpool alumnus and TV Historian, Professor David Olusoga OBE, on Wednesday 20 March. A sell-out crowd was welcomed by Chair of the Trust, Claire Dove OBE, who gave a brief outline on their plans to protect, preserve and enhance the Grade 1 listed status of the Hall. Claire then surprised the audience by introducing the much-revered Levi Tafari who dazzled all in attendance with performance poetry lauding the unique character of Liverpool. As for the main event? 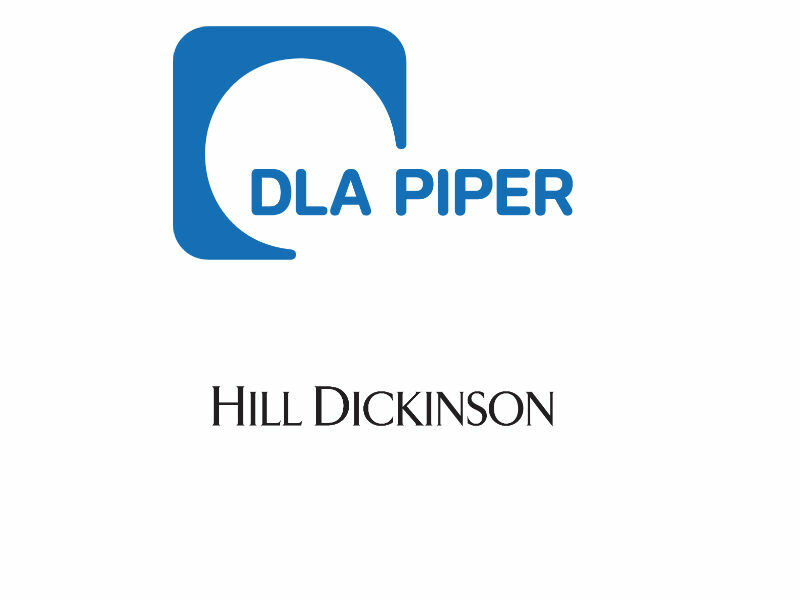 Professor Olusoga did not disappoint, captivating onlookers with a deeper insight of historic royal visits, and Charles Dickens’ relationship with St George’s Hall, before recounting the intriguing real-life stories of civilians prosecuted within the once active law courts. 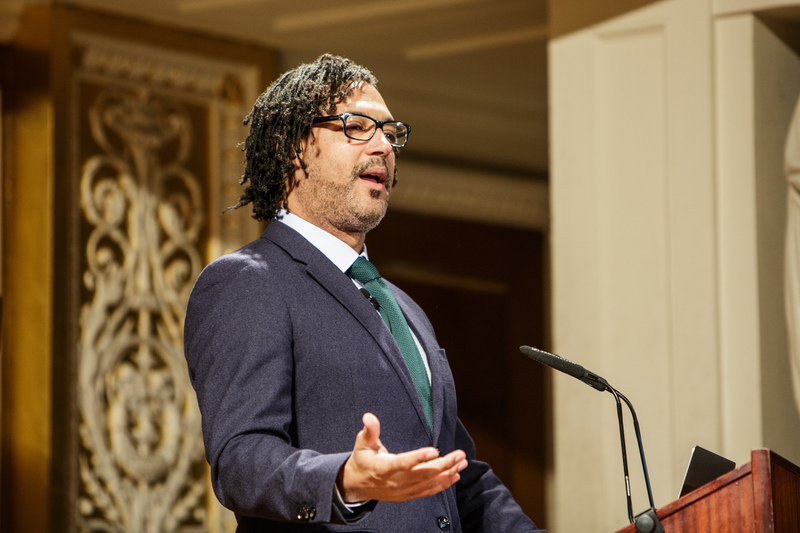 The session concluded with a Q&A, where Professor Olusoga spoke at length about his love for the city, having studied at University of Liverpool in the 1990s and having presented the widely acclaimed A House Through Time.